The Asset Trading division encompasses the Company's equity, warrant and royalty trading. All activities seek to generate cash inflow, in order to mitigate the need for external dilution through share placings. The gains achieved from the Asset Trading division are re-invested in the Company, its operations and its Metal Projects Division. Larger scale investments negotiated directly with the board of investee companies. To date Metal Tiger has invested £1,250,000 in total in equity funding provided to Ariana Resources (LON:AAU), Eurasia Mining (LON:EUA), Kibo Mining (LON:KIBO) and ECR Minerals (LON:ECR). Smaller scale investments purchased through the Company’s dealing facilities and subject to an investment entry cap of 10% of Metal Tiger’s last reported net assets per investment. Through the On-Market Portfolio we hold a range of London Stock Exchange AIM resource company shares, and are researching opportunities in the TSX and ASX markets. Investments which can include warrants, royalties and other non-equity interests which we would define as readily tradeable. We see significant growth opportunities in this category and are currently targeting new investments in this area, particularly the purchase of long term warrants and royalties. Reporting on Asset Trading is restricted to the half year and full year results, save where the Company is required to announce transactions for regulatory reasons. Metal Tiger’s interest in Botswana currently centres on the high-grade copper and silver Target 3 ‘T3’ Deposit for which a maiden JORC complaint Mineral Resource Estimate was established in September 2016 and an open-pit Scoping Study announced 6 December 2016. Work to build on the T3 Scoping Study and progress to Prefeasibility Study (PFS) will commence early 2017. At the same time drilling will test the potential for westerly mineralisation extensions over a 3km strike. In addition to the discovery at T3, reverse circulation (RC) drilling has confirmed significant copper mineralisation intersections at T2 West Prospect, which is approximately 20km north of T3 and 3.5km west of the MOD Resources 100% owned high-grade Mahumo copper/silver deposit. Following the announcement of the T3 maiden Resource and Scoping Study resultant from a Phase 1 Drilling Programme, the project has moved into a Phase 2 drilling programme seeks to build out and upgrade the classification of the Resource envelope and feed into the Prefeasibility Study. Metal Tiger PLC (“LON:MTR”) entered into a New Project Collaboration and Investment Agreement (“Agreement” or “Collaboration Agreement”) with AIM listed Eurasia Mining PLC (LON:EUA) (“Eurasia”) on 24 December 2014, this included a direct equity investment of £150,000 by Metal Tiger in the ordinary shares of Eurasia. The Agreement gives Metal Tiger the right of first refusal to participate and co-fund, on an equal basis with Eurasia, any new projects or investments undertaken by Eurasia for the period of 18 months from the date of the Agreement. It enables Metal Tiger to participate on opportunities in Russia and the former Soviet Union, a region where Eurasia has extensive knowledge and operational capability. The project Agreement covers any existing projects under review by Eurasia but not yet formally announced to the market, but excludes the West Kytlim Urals Alluvial Platinum project and the Kola Peninsula Monchetundra PGM project which were active prior to the Agreement. Metal Tiger PLC (“LON:MTR”) currently has two 50/50 Joint Venture (“JV) agreements with Kibo Mining PLC (“LON:KIBO”) in respect of gold and uranium holdings in Tanzania. 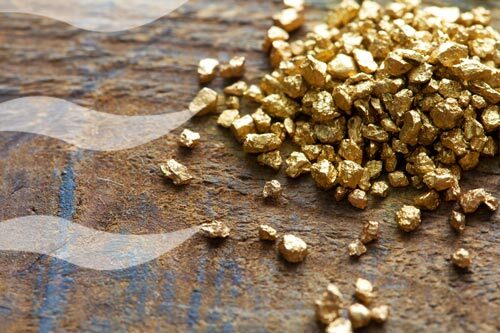 The gold JV which commenced on 26 February 2015, concerns the Morogoro Portfolio (“Morogoro”) of gold prospective licences, offers, applications and tenders held under the JV company Kibo Jubilee Ltd (“KB Jubilee”). KB Jubilee is equally owned 50% MTR and 50% KIBO. Under the terms of the Morogoro JV, MTR will meet the expenses in relation to the licence renewal fees and other maintenance costs for a minimum of 1 year up to a maximum of 3 years. MTR is to expend the first US$800,000 under the JV in expenses and exploration relating to Morogoro, at which point costs moving forward are shared 50/50 between the parties. Full details of the Morogoro JV agreement can be reviewed here. Further details on the Morogoro Portfolio are outlined below. The uranium JV, which also commenced on 26 February 2015, concerns the Pinewood Portfolio (“Pinewood”) uranium prospective exploration licences held by the JV company Kibo Uranium Limited (“KB Uranium”). KB Uranium is equally owned 50% MTR and 50% KIBO. The Pinewood JV terms are similar to those for Morogoro; MTR will meet the expenses in relation to the licence renewal fees and other maintenance costs of the Pinewood Portfolio for a minimum of 1 year up to a maximum of 3 years. MTR is to expend the first US$800,000 under the JV in expenses and exploration relating to Pinewood, at which point costs moving forward are shared 50/50 between the parties. Full details of the Pinewood JV agreement can be reviewed here. The investment in the Pinewood Portfolio is in line with MTR’s medium term view regards the uranium market recovery. Metal Tiger PLC (“MTR”) entered into a Joint Venture agreement (“JV”) with Thailand-based South East Asia Exploration and Mining Company Limited (“SEAM”) and Southeast Asia Mining Corp. (“SEA”) - the parent company of SEAM, on 28 October 2014. The JV gave MTR the opportunity to earn-in and potentially control gold exploration targets in two of Thailand's gold regions, namely the 'Copper-Gold Belt' and 'Gold-Antimony Belt'. As part of the JV two Thai companies, Tiger Minerals Ltd and Tiger Resources Ltd, were incorporated in order to progress the licence holdings and exploration, with MTR holding an initial 10% in each. Subject to meeting set milestones MTR had the ability to earn in up to a 75% interest in these holdings. On 7 October 2015, MTR secured an option to acquire 100% of the current Thailand Joint Venture (“JV”) with SEAM for a total consideration of $50,000 including a $10,000 option fee. Should Metal Tiger proceed with the JV acquisition it will at the same time as the 100% interest is acquired, immediately transfer 10% of the JV shares to a Thailand based company. This company will be the in-country operator of the projects on the ground. SEAM shareholders voted to agree on the acquisition of SEAM by MTR on 12 January 2016. On 24 November 2015 MTR announced an additional option (the “SEA Option”) to acquire the Thailand interests of SEAM's Canadian parent entity, Southeast Asia Mining Corp. (“SEA”). This includes SEAM and two other SEA subsidiaries, eight prospecting licence applications surrounding historical lead-silver-zinc mines in Western Thailand and two mining lease applications that overlay historical mining lease applications in the area, plus the exploration and mining database compiled by SEAM during its operations in Thailand since its incorporation in 2006. Metal Tiger announced that the SEA Option had been exercised on 16 February 2016. Charles is an experienced International Banker with over 30 years with HSBC in a variety of Finance and Insurance roles. His last position was as CEO & MD HSBC Private Bank (Luxembourg) S.A. He has had significant overseas senior management experience as well as that of running complex businesses. His prime focus has been on strategy and corporate restructuring with the emphasis on re focussing businesses on their core revenue streams. Charles holds a BA (Hons) from the University of Sussex, is an Associate of the Hong Kong Institute of Bankers and is a Fellow of the Royal Geographical Society. Michael is an experienced corporate financier having advised several private, Main Market listed, AIM quoted and ISDX listed companies on a variety of corporate transactions during his tenure at Arden Partners (AIM:ARDN) and Allenby Capital respectively. Metal Tiger plc (Brady plc) was one of Michael's clients whilst at Allenby Capital. Michael also previously worked as a Corporate Executive at Coinsilium (ISDX:COIN) where he worked with early stage blockchain focussed start-ups providing corporate finance and strategy advice. Prior to his career in corporate finance, he worked Simmons & Simmons and PartnerRe and started two start-ups. Michael studied Biology at Imperial College London and has BA in Economics from the American University of Paris. Michael is fluent in French. Keith is a Chartered Accountant and an experienced AIM company Director. Keith was Finance Director of AIM quoted Porta Communications plc, prior to that of Bulgarian Property Developments plc and was Group Finance Director of AIM quoted Bartercard plc, the B2B trade exchange. Earlier in his career he held a number of senior financial positions including that of Commercial and Finance Director of Hi-Tec Sports International, the £100m turnover footwear and clothing brand and Finance Director of Jardine Matheson Companies in Hong Kong , the Philippines and Australia. Keith has recently been a director of World Federation for Mental Health UK Limited and is currently a director of St George’s Hill Lawn Tennis Club in Surrey. Alastair is a mining industry executive with more than 27 years of international experience, in both underground and open pit operations. He is a qualified geologist and has a Master of Science Degree in Mineral Exploration from the Royal School of Mines, Imperial College. Alastair worked for four years as a Mining Geologist with Goldfields of South Africa in the early 1990s before joining Datamine International (UK) where he worked for 14 years as Mining Consultant. In 2008 he joined Standard Bank as a Technical Advisor where he had overall responsibility of technical approvals and “signing off” mining finance deals. Alastair worked on number of deal transactions involving debt finance, corporate finance, off-takes, equipment finance, M&A, advisory and business recoveries. Geoff is an experienced management professional and project developer having advised private and public companies on a variety of corporate transactions in the mineral development industry in Southeast Asia. Geoff specialises on providing strategic advice for project development. Prior to his career in mining project development, he worked in start-up companies and business development. Geoff has completed a BA and MA in studies in Canada and Australia. Mark is the Founder and a Partner of Sita Capital Partners LLP, an investment management and advisory firm specialising in investments in the mining industry. He was formerly a Director and Chief Investment Officer of Anglo Pacific Group, a London listed natural resources royalty company, where he successfully led a turnaround of the business through acquisitions, disposals of non-core assets, and successful equity and debt fundraisings. Prior to Anglo Pacific, Mark was a founding member and Investment Principal for Audley Capital Advisors LLP, a London based activist hedge fund, where he was responsible for managing all natural resources investments. Mark worked on several landmark deals in the mining sector including the successful distressed investment and turnaround of Western Coal Corp and its $3.3bn sale to Walter Energy Inc.
Mark invested over $300mm during the period 2005 to 2012 in the mining sector, generating P&L in excess of $600mm and realised proceeds of over $900mm. The Audley European Opportunities Fund was nominated by Eurohedge as a top performing hedge fund in the event-driven space for 2006, 2007 and 2010. Prior to Audley Capital, Mark worked in corporate finance for Salomon Smith Barney (Citigroup) and Dawnay, Day, a private equity and corporate finance advisory boutique and completed over $2bn of M&A, equity and debt transactions. Mark graduated with an MA degree from Trinity College, University of Cambridge. Terry is an award-winning geologist with over 40 years’ experience in mining and mineral exploration with extensive experience in Australia, Africa, Southeast Asia and New Zealand and has been involved in numerous ASX-listed companies that have achieved dramatic growth. As geologist, Terry discovered the Cosmos Nickel deposit for ASX-listed Jubilee Mines NL which went on to be an ASX Top 200 company and for which Terry was awarded the AMEC (Association of Mining & Exploration Companies) joint Prospector of the Year in 2000. As co-founder/director, Terry listed Western Areas NL (ASX:WSA) in 2000 (and served as Exploration Manager from 2000 to 2004) which became an ASX Top 200 company. Terry was Chairman of South Boulder Mines (ASX:STB) from 2008-2013 which grew to be an ASX Top 300 company. From 2010 to 2015, Terry was a director of Sirius Resources NL (ASX:SIR) and helped to guide the Company through the discovery, feasibility and development funding of the Nova nickel and copper deposits in Western Australia, that saw the company's share price dramatically rise from AUD$0.05 in July 2012 to a peak above AUD$5 per share in early 2013 and become an ASX Top 200 company. As at 6th January 2017 the following shareholders were, as far as the Directors are aware, interested in 3% or more of the issued share capital of the Company. Breakfast News - Metal Tiger, NWF Group, Gresham House Strategic and more..